Stomata help plant by making oxygen to breath. 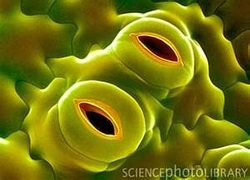 Stomata help us live to day on the earth. How does a cell use glucose (sugar)? Refference 1: Coolidge-Stoltz, Elizabeth. Focus on California Life Science. Boston, MA: Pearson Prentice Hall, 2008.